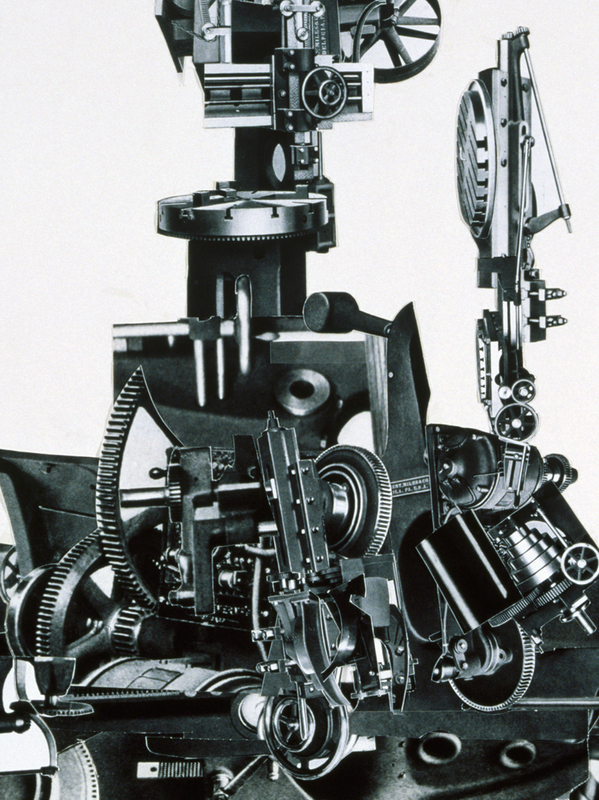 This collage is made from photographs taken from a nineteenth century book containing hundreds of finely detailed drawings of machines. Klippel cut and assembled the work, beginning with the vertical forms and building up the landscape section. 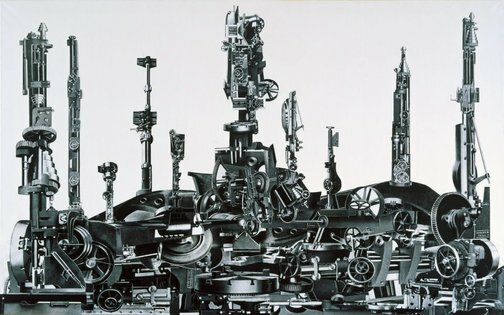 The title 'Philadelphia' is taken from the frequent appearance of that name on the machine parts. In the late nineteenth century Philadelphia was the centre of an important industrial area in the United States of America. Klippel kept the name partly because of its mechanical associations and partly because of associations with works by Duchamp and Cézanne he had seen in the Philadelphia Museum of Art. An overwhelming surrealist/mechanist landscape, it is the largest and most important collage Klippel had so far produced, and a key work in the Gallery's representation of his art. Signed and dated l.r. corner, black ink "Robert Klippel 1979". Helen Campbell, Look , 'Stuck on you', pg. 16-19, Sydney, Sep 2016, 16,17. Deborah Edwards, Robert Klippel: large wood sculptures and collages , 'Robert Klippel - Large Wood Sculptures and Collages', pg. 7-35, Sydney, 1995, 26 (illus.). Humphrey McQueen, Art Monthly Australia , 'Positions vacant', pg. 21-23, Canberra, Sep 2000, 23. David Tunny., Look , 'The sculptor's studio: Robert Klipel', Heidelberg, May 1990, 12 (illus.). Dead Sun , Sydney, 1997. The sculptor's studio: Robert Klippel , Sydney, 1990, 4 (illus.). Robert Klippel , 'Scaled to nature: Sydney 1970s-80s', pg. 134-186, Sydney, 2002, 138, 139 (illus., detail), 141, 143, 167 (illus. ), 257.